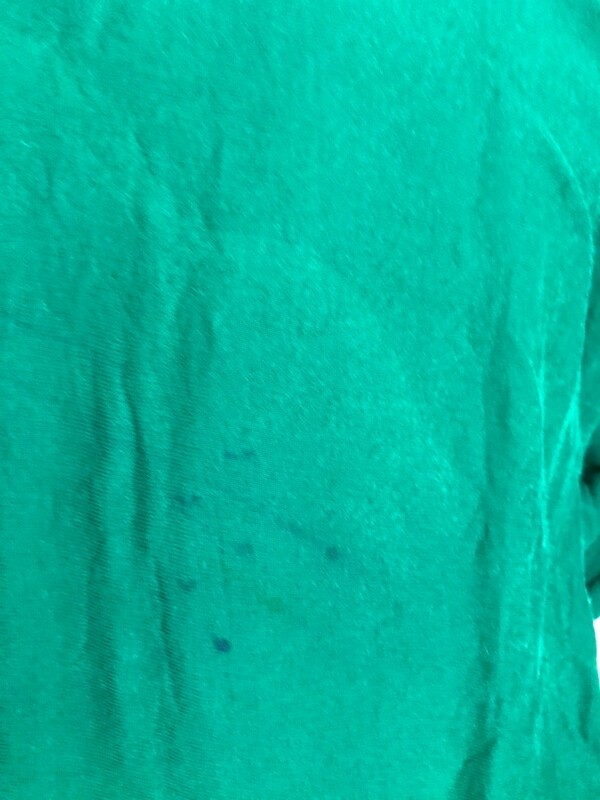 My son came home from school the other day and asked me if I could get pen off his favorite hoodie. Another student had taken a few colored Sharpies and drew lines down his back. I told him I would see what I could do. I poured isopropyl alcohol directly on the spots and used Q-tips to scrub across the pen marks, rinsing it out and reapplying a few times. After a few minutes, the marks were lightened to barely visible. 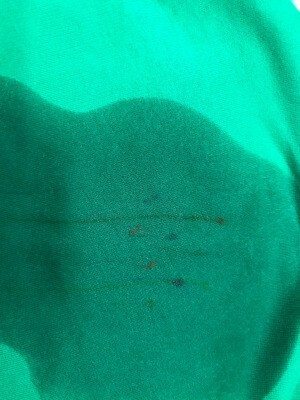 You can see where the alcohol and scrubbing lightened the green sweatshirt color a bit. I didn't want to damage the material any more so I stopped. This was just a cotton sweatshirt. I would use caution on any delicate fabrics and test a small area first. I'm thinking maybe the slight lightning effect was due to the scrubbing and not the alcohol. You may have gotten pretty good results by placing a paper towel under the stain and blotting with another paper towel from the top. Both towels may need changing a few times, especially if the stain was heavy. 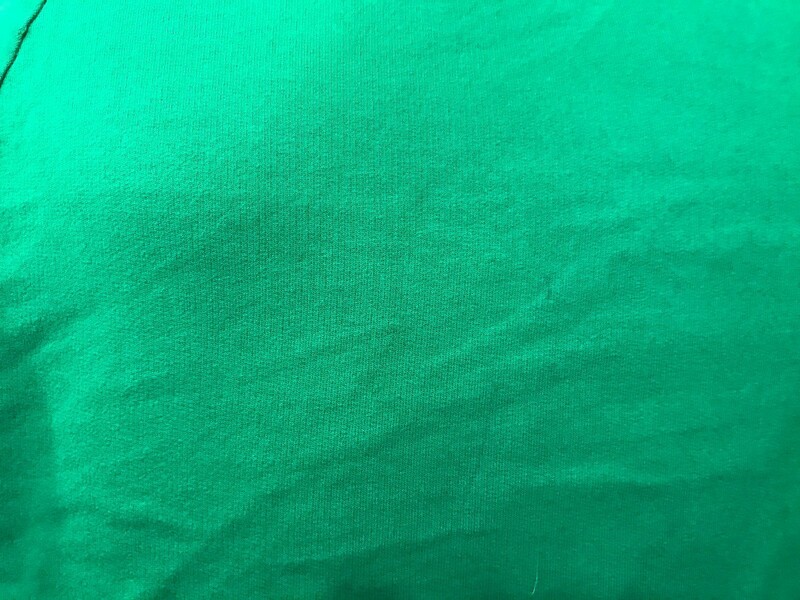 I started wearing an apron while gardening. I was scrubbing my jeans front with a scrub brush. Not only did it make the scrubbed area lighter (which I didn't mind), it was wearing away the material in short order. Yes, you could be right. The Q-tips were green stained, but that could have been from the marker color itself.